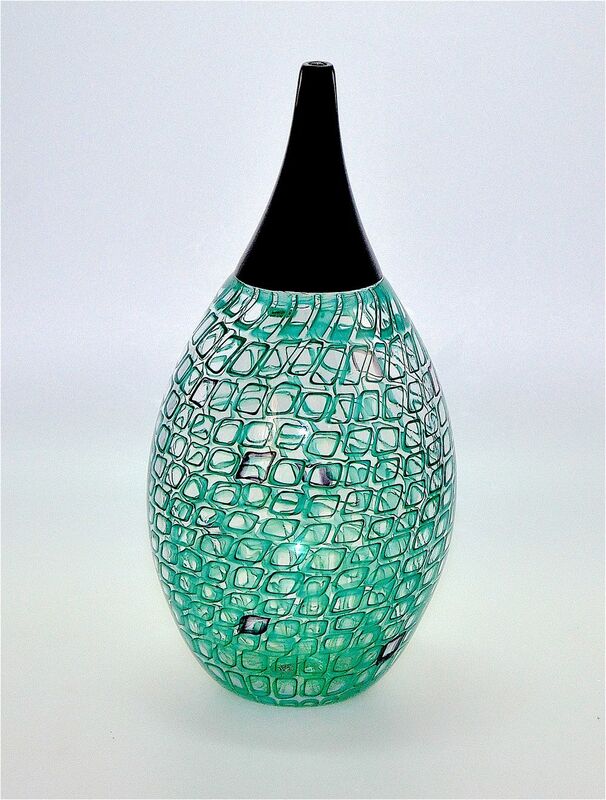 This wonderful vase was made by Michael Hunter for Twists Glass in 2013. Part of the "10" range which was made in limited numbers, the base comprises green murrine canes randomly set in clear glass with 10 (hence its name) black murrine canes randomly placed amongst the green murrine canes, above which is a tapering black glass incalmo top. The base is scratch signed "M Hunter Twists 13" and has the Twists Glass studio label. A very simple but elegant vase.